Aztec beliefs in the afterlife: Stephen Hawking and me – For Christians, To be Born Again in Islam! Read further in the Muslim Sunrise of spring 2012. 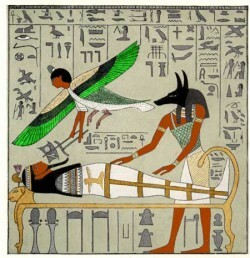 The featured picture depicts the concept of afterlife in old Egyptian religion.